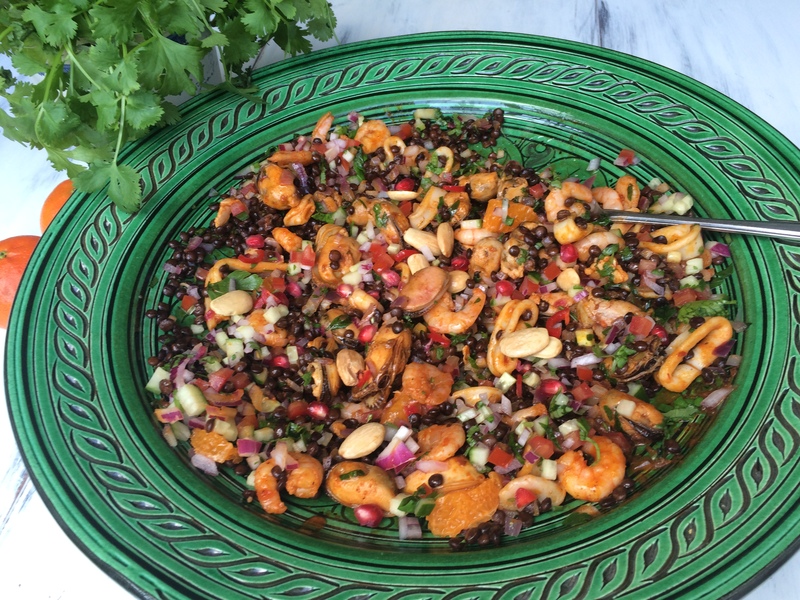 Spiced seafood and lentil salad. Hanging in our kitchen is a calendar which was a gift from our friend DJ Ozz. It has become something of an annual tradition for The DJ to commit one of our group trips to calendar form for posterity and by way of a Christmas present to each of us.